We want our listeners to be able to explore the excitement and connection that storytelling can provide at one of our live storytelling events. We’re aiming to bring a live storytelling event to a theater near you. Usually, our live storytelling events consist of 5-8 storytellers telling their true and compelling stories live on stage in front of an audience. These stories are told without notes and from the heart, making the connection to the storyteller raw and emotional. Storytellers work with the organizers to craft their story in an engaging manner. Are you a group, organization, or institution that wants to help co-sponsor one of these live storytelling events in a theater near you with Palestinians Podcast? We’ve partnered with festivals, museums, and student groups in the past and look to partner with other organizations. You can find out more about the process and propose your event by emailing stories@palestinianspodcast.com. Typically, these events need 3-8 months of lead-time to be developed, planned, and executed. We hope that we get the opportunity to bring live storytelling to your city! In collaboration with the Boston Palestine Film Festival. Storytelling workshop led by Nadia Abuelezam held in collaboration with FOSNA with 30 attendees. Storytellers: Rain Abdelrazaq, Michael John Maria, Amer Zahr, Dalia Deak, Canaan David Khoury, Amir Qudaih and Nadia Abuelezam. In collaboration with the D.C. Palestinian Film and Arts Festival. Storytellers: Lena Ghannam, Yasmeen El-Hasan, Samar Najia, Zuhdiah Sarhan, Andrew Kadi, and Nadia Abuelezam. With special performance by Maysa Daw. Storytelling workshop led by Nadia Abuelezam attended by 25 storytellers. In collaboration with the Arab American National Museum. Storytellers: Annalise Raziq, Tariq Luthun, Abdullah Hammoud, Hanan Yahya, Alise Alousi, Kamelya Youssef, and Nadia Abuelezam. Storytelling workshop led by Nadia Abuelezam for 32 storytellers. Storytellers: Nijmeh Curren, Dana Sajdi, Sari Abuljubein, Salma Abu-Ayyash, Hani Azzam, Gloria Olivier, and Nadia Abuelezam. 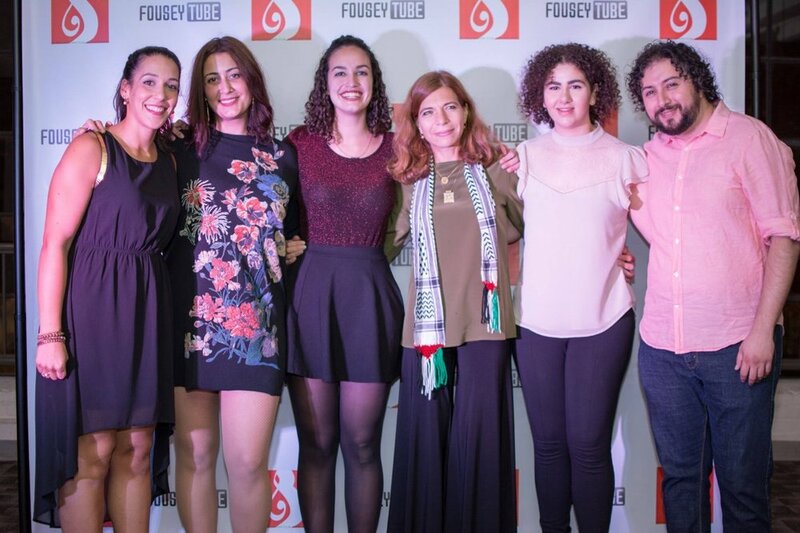 Storytellers: Annalise Raziq, Rana Akleh, Leila Kassis, Amahl Bishara, Ahmed Alkhateeb, and Nadia Abuelezam. With special performances by Zena Agha, Sarouna Salfiti-Mushasha, and Fares Btoush.